New Orleans Pelicans star Anthony Davis has been fined $15,000 over an obscene gesture toward a fan after the Pelicans home loss to the Charlotte Hornets on Wednesday. Davis, who didn’t play against the Hornets, gave the middle finger to a fan while leaving the bench after the game. 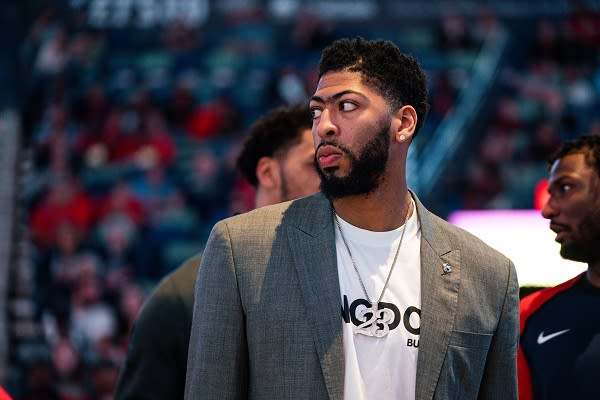 According to Pelicans Wave, the Instagram account that initially posted the encounter, Anthony Davis alleges the fan said something that rubbed him the wrong way, which prompted the reaction. However, the fan who captured the video, Bradley Wehmeyer, says the fan on the receiving end of the gesture flipped Davis off first … but never actually said anything. The Pelicans have already been eliminated from the playoffs and have three games left in their season including one last home game. That will likely be Davis’ last game in New Orleans, as the Pelicans are expected to grant his trade request this summer.